Sikkim , A Paradise on Earth . 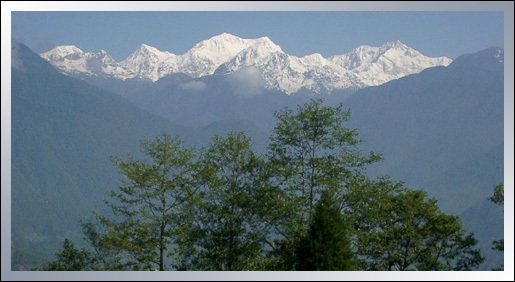 Sikkim, an untouched, timeless land whose smiling people offer you unforgettable friendliness. Sikkim, a land of extraordinary beauty-soaring mountains, plunging rivers and lush tropical forests, brilliant with a profusion of vivid flowers, birds and butterflies and decorated with verdant terraced hillsides, simple stilted villages and colourful temples and monasteries. Sikkim offers the magical feel of a Himalayan fairytale land. Its an amazing place of hidden valleys, mystical monasteries, snow fed lakes and a mountain setting covered with flowers and forests. Mt. Khangchendzonga the world’s third highest mountain peak in the world at 8,586 mts., dominates the landscape and is revered as the Sikkim's guardian deity. Sikkim is a hidden state of India in the Himalayas across Nepal's eastern frontier and Tibet and China in the northern side with a part of western frontiers with Bhutan and Darjeeling Gorkha Council in the south. Imagine walking amongst gorgeous orchids ,flashing kaleidoscopes of singing birds, butterflies of all sizes-all framed by snow peaks. For centuries botanists and plant lovers have irresistibly drawn to Sikkim for her profusion of over 4,000 species of flowering plants, including an incredible 600 species of Orchids. Magnificent magnolias flower in the temperate woodlands ,more then 40 varieties of Rhododendrons covers higher hills,45 species of primula bloom above 3,000 mts and celestial blue poppies colour the alpine heights. In the forests are trees of almost all genera .Figs and wild bananas consort with a host of bamboos in a tropical valleys. Rich fern life shelters beneath the canopy ,including eight species like tree fern. Great tropical hard woods like sal give way on higher slopes to oak, maple and chestnut woodlands and these in turn are replaced by yew, larch, fir and cedar up to a tree line at 4000 m.
The abundance of colour, scent and variety attracts more then 300 bird species and 500 species of butterfly. Sikkim-thus is rightfully is a paradise on Earth.